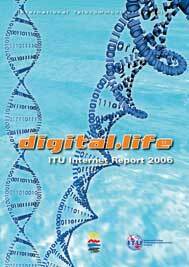 This eight edition of the ITU Internet Reports, entitled "digital.life", delves into how individual lives are changing in the digital age. Prepared especially for ITU TELECOM WORLD (4-8 December 2006 in Hong Kong), the report begins by examining the underlying technological enablers of new digital lifestyles, from upgrading network infrastructure to value creation at its edges. In studying how businesses are adapting to fast-paced digital innovation, the report looks at how they can derive value in an environment driven by convergence at multiple levels. The question of extending access to underserved areas of the world is considered as an important priority. In light of media convergence, a fresh approach to policy-making may be required, notably in areas such as content, competition policy, and spectrum management. Moreover, as our lives become increasingly mediated by digital technologies, the role of digital identities (both abstract and practical) presents a new challenge. Concerns over privacy and data protection are not being sufficiently addressed by current methods for managing identities online. As such, the report examines the changing digital individual, and outlines the need for improving the design of identity management systems for a healthy and secure digital world. For more detailed information on this publication, click here. 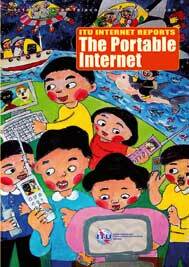 This publication is the seventh in the series of "ITU Internet Reports", originally launched in 1997. 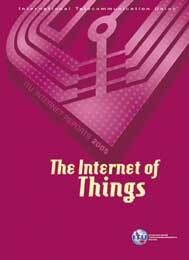 It looks at the next step in "always on" communications, in which new ubiquitous technologies (such as radio-frequency identification and sensors) promise a world of networked and interconnected devices (e.g. fridge, television, vehicle, garage door, etc.) that provide relevant content and information whatever the location of the user - heralding the dawn of a new era, one in which the internet (of data and people) acquires a new dimension to become an Internet of Things. Topics covered include new enabling technologies, business opportunites, public policy challenges, and implications for the developing world. A statistical annex covering over 200 economies is also included. This report on the "Birth of Broadband" is the fifth in the ITU Internet Reports series (previously known as "Challenges to the Network"). At a time when the telecommunication industry is struggling with overcapacity and indebtedness, broadband - high-speed Internet access - offers the chance of revitalizing market demand. The number of broadband subscribers was set to double in 2003. 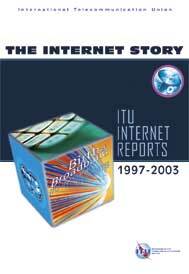 This report was specially prepared to coincide with ITU TELECOM WORLD 2003, held in Geneva from 12 to 18 October 2003. The first part presents a series of analytical chapters, backed up by country case studies, graphs and charts. The second part presents the latest available data for broadband and telecommunication use in 206 economies across the globe, including the new release of ITU's Mobile and Internet Index. This report on Internet for a Mobile Generation is the fourth in the "ITU Internet Reports" series (previously known as "Challenges to the Network"). The key issues addressed in this 2002 edition are: technologies and applications; demand, market structure and economic implications; regulatory and policy aspects. Material from individual country case studies provides valuable and informative insights and a Statistical Annex presents the latest information on the status of Internet developments worldwide. This report reviews the economic, technical and regulatory factors which are affecting the spread of IP Telephony. It presents original research on case studies on the adaptation of IP Telephony in a number of countries including China, Columbia, Peru and Thailand. This report, prepared by ITU, was released to coincide with the TELECOM Interactive 97 Exhibition and Forum, held in Geneva, 8-14 September 1997. The report looks at the relationship between the Internet and the public telecommunication sector. 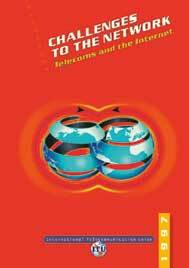 This series of reports began in 1997 under the title "Challenges to the Network". 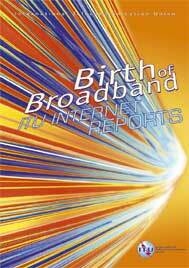 Following the publication of the fifth in what is now known as the "ITU Internet Reports" series, on "Birth of Broadband" (released in September 2003), this CD-ROM, with a booklet summarizing the main issues, now presents the entire series, from 1997 to 2003. Initially presenting the series only up to 2002, this publication now includes the very latest release on Broadband in 2003, with a view to providing our readership with an even more complete series.